These Montreal hotel rooms come with two queen sized beds and are perfect for traveling friends and familties. Complimentary wireless Internet access and cable channels are available for your pleasure and you will have a shower/tub combination. 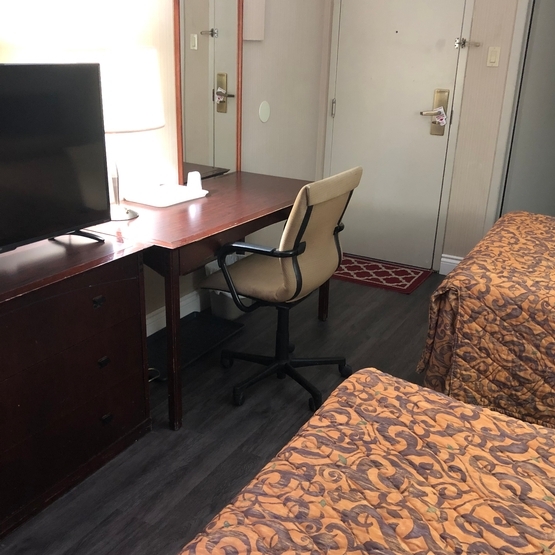 Lots of other handy amenities including a hair dryers, ironing station, desk, a wake-up call service, and a phone with free local calling are all available for free.